Anyone that’s spoken to me in the past week will know I’m currently slightly obsessed with Elephant Parade London 2010 currently on display all around the city. Public over the top art displays intrigue me, and this one’s no different. 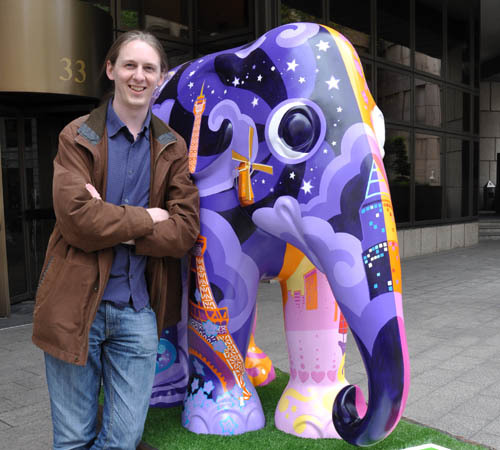 With Cow Parade having totally passed me by back in 2000, and day trips to Bath and Liverpool for Bladud’s Pigs and Super Lamb Bananas respectively firmly behind me, I’m pretty excited at the prospect of finding all 258 elephants, and taking photos of them all. I’ll even go as far as Heathrow Terminal 5. If I find the rest. Elephant Parade is not unique to London, but the elephants that are here, are. Local artists both professional and amateur have given their time and efforts to the project, to create 258 unique colourful, thoughtful, or just plain mad designs. My favourites so far – The City in the Elephant, the uniquely London Taxi Elephant, Panda (I bought a small model, I can’t leave it out), and Woodland. You can follow my progress on Blakepics where I’m storing photos of all the elephants that I find. It’s not all about the fun of exploring your city in a new light though. Elephant Family have a serious message to put across, to save the Asian Elephant from the desperation the loss of their habitats is causing. They are working with communities and governments to help re-establish migratory corridors, and help the elephants to nearby villages peacefully. It would be completely selfish of me to take all the joy they’ve given me over the past week (and for the weeks to come) of diving around London spotting elephants, without mentioning this serious part to their mission. Who doesn’t like cash donations? But there are plenty of other ways to donate to their numerous projects, buy some Pink Elephant wine, buy some miniatures of your favourite elephants, sign the petition, give up some time, or even buy one of the big elephants in the final auction. Like some many of projects like these – Elephant Family have been an absolute inspiration. Transforming a city like London is no small task, but when companies like this take the plunge, you can see the happiness and smiles in everyone. Sometimes it takes something like this to take a break from the rat race – notice something new, something interesting, or just unexpected. Yes, I’m totally obsessed with finding them all, but I’m loving every minute. Our favourite elephant is ‘Sally’, outside the National Gallery, on the Southbank. Read about our Elephant hunt at http://anonnoblog.com/ and then write your own anonymous post too! I think the Heathrow elephant is actually at Paddington Station (you have a photo of it): The Happy End of Nature sponsored by Heathrow Express. Hope that helps. 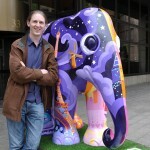 Thank you for all your coverage of Elephant Parade London. Your enthusiasm for our campaign helped make London’s biggest ever outdoor art exhibition an amazing success, helped publicise the plight of the Asian elephant, and helped us raise vital funds – a staggering £4.1million. While the hearts and minds of the public have been captivated by our elephants, we wanted to follow up our success with a short animation about the parade as a thanks and call out for further support. Although the elephants have disappeared from London, we still need help to make sure they don’t disappear from Asia. You can help us again. You can watch the video at http://www.youtube.com/watch?v=4YrnaMYb7fg. Thank you for any support you can offer. Please don’t hesitate to get in touch if you have any queries or want to know more. The decline in the numbers of Elephants in the Asian region is a serious matter. I hope more organization like this help in the cause of preserving this magnificent animals. We have had something similar here in Minnesota (US). Local artists created their interpretation of Charlie Brown’s Snoopy in the form of approx 3 foot sculptures and placed them around our capital city. The whole thing was a huge success, and they have now been doing it for many years. I think it is a great idea that is beneficial for both the city and the artists. I also love the elephant idea!